What is the Shared Responsibility principle? We take ownership of our learning and view it as a partnership where we are accountable to ourselves and each other. In our classrooms, there is choice. Active learning is supported. 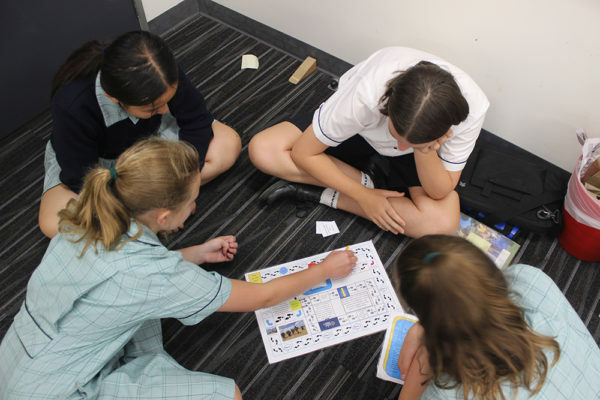 Appropriate behaviour is modelled, and students observe and learn from each other. Learners perceive a need and/or desire for learning and have access to resources and tools. Teaching your children to drive is an interesting experience and for those of you who have had the experience, I’m sure you will relate to the challenges it can present. As a parent of a young person who is keen to learn to drive and is the right age, there is a responsibility to teach them, or make provision for someone to do so. After preliminary lessons with a parent using empty carparks and deserted country roads, young learner drivers usually progress to having lessons with an instructor, often to the relief of the parent! As the young person’s confidence grows, the experience for a parent is not always a comfortable one, as the learner enjoys the power of the vehicle and negotiating the traffic, lane switching and braking, often far too late! Despite advice from a parent about the value of speed limits and preserving brake pads, often the young person goes on to get a licence and freedom! It is at this stage, that a parent can only trust that after sharing their knowledge, advice and skills, that their young person will be safe on the roads. They are now ready to have the full experience and take control and responsibility for their actions on the road. The first months and years, parents can experience the young driver’s horror at receiving speeding fines and demerit points. These can be a deterrent, as can a few car-park ‘dings’ and the negotiations that occur with car repairers. Over the years, the challenges of hidden speed cameras, a little maturity and acknowledging the waste of money that fines incur, young drivers happily use the cruise-control, set to the speed limit as they drive from A to B. Parents also feel a little more comfortable travelling alongside their tempered young driver! This doesn’t mean that we as parents and teachers are hands-off – no, in fact we are there to enable experiences that help them grow. In the classroom and at home we can provide environments that challenge our students’ real life learning experiences – environments that give them agency to be in control, to make choices and in turn, be better prepared for a world beyond school. Sometimes it is difficult as parents and teachers to ‘let go’, to let students make choices, some that we may not feel is the best choice – but through choice and making mistakes, students grow and become independent thinkers and masters of their own learning. This reflects a shared responsibility in the education of our children. What role do schools and parents play in the education of students? It’s a little like the learner-driver. We invest resources and time, share knowledge and advice, mentor and encourage. In the end however, it is the student that needs to decipher the information, apply it to real life situations; situations that bring meaning and hopefully fulfilment for them.